Is it exhausting for you to come up with a new password every time you make a new account somewhere? Well, it turns out that the all-too-common practice of using the same email address/password combination to log into multiple websites can be damaging. According to a recent study, the practice can cause more harm to the employers with many users and valuable assets protected by passwords, like in universities. “If someone uses their university email address and passphrase to sign up for, say, LinkedIn, and LinkedIn is breached by cybercriminals, that would mean their university password is sitting on the web for everyone to see,” said Indiana University’s Dan Calarco, co-author of the study. “We found that requiring longer and more complicated passwords resulted in a lower likelihood of password reuse,” the authors write in the paper, Factors Influencing Password Reuse: A Case Study. The authors are Jacob Abbott, an IU Bloomington PhD student; Daniel Calarco, chief of staff for the IU Office of the Vice President for IT and CIO; and L. Jean Camp, a professor in the IU Bloomington School of Informatics, Computing and Engineering. The group presented their findings at the TPRC46: Research Conference on Communications, Information and Internet Policy in Washington, D.C. To investigate the impact of policy on password reuse, the study analyzed password policies from 22 different US universities, including their home institution, IU. Next, they extracted sets of emails and passwords from two large data sets that were published online and contained over 1.3 billion email addresses and password combinations. Based on email addresses belonging to a university’s domain, passwords were compiled and compared against a university’s official password policy. 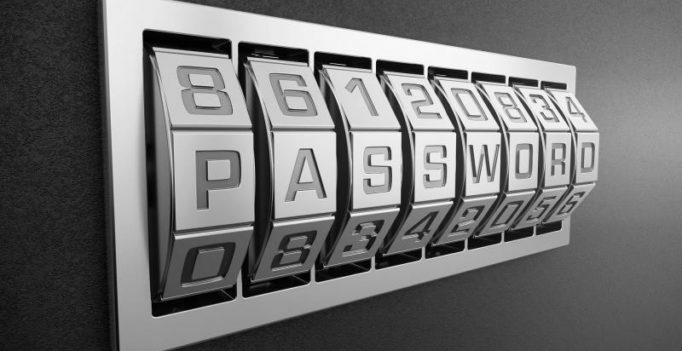 The study found that stringent password rules significantly lower a university’s risk of personal data breaches. “Our paper shows that passphrase requirements such as a 15-character minimum length deter the vast majority of IU users (99.98 per cent) from reusing passwords or passphrases on other sites,” they write. “Other universities with fewer password requirements had reuse rates potentially as high as 40 per cent.” Their analysis found that IU performed the best of all 22 universities — and had the most extensive requirements. The authors offer the following recommendations to safeguard passwords: Increase the minimum password length beyond 8 characters. Increase the maximum password length. Disallow the user’s name or username inside passwords. Contemplate multi-factor authentication. Multi-factor authentication is becoming more common and usable. IU, for example, employs Two-Step Login. With the potential benefits of reducing the risk of password reuse, multi-factor authentication may be a viable alternative to changing the length and/or complexity of password policies. “Our recommendations are not only applicable for universities but also can be used by other organisations, services or applications,” they write.